Nachos are usually on the appetizer list at most restaurants, but they’re often big enough for several people to share. Toppings can range from simple cheese and salsa to ground beef, steak, veggies, and so much more. I don’t know about you, but my mouth is already watering just thinking about nachos! 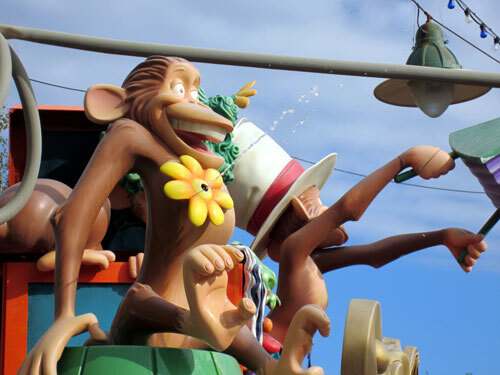 Let’s take a look at the top nine nachos in Disney World. Nachos Grande at Planet Hollywood Observatory in Disney Springs is part of the newly reimagined menu at this Disney World restaurant. It’s plenty large enough to share with your family or friends, or you could make a meal of it! The dish starts on a bed of corn tortilla chips then adds chipotle chicken, black bean sauce, crude salsa verde pico de gallo, queso fresco, sour cream, and cheedar and Monterey Jack cheese. At $14.99, splitting this with a few people can make it a pretty affordable dish. 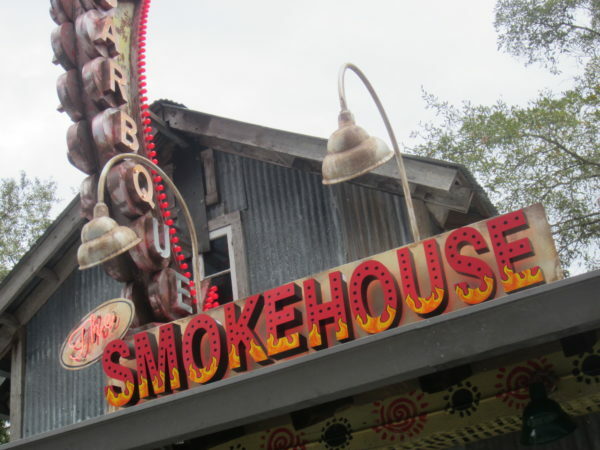 On Disney Springs’ West Side is The Smokehouse, a counter service restaurant at House Of Blues. It’s been open for a few years, but it’s an often overlooked dining location. The Smokehouse inside The House of Blues has nachos with a variety of topping options! Even still, they have some of the best nachos in Disney World. Their Smokehouse Nachos are made with tri-color tortilla chips and avocado lime crème, pickled jalapenos, and fresh pico de gallo with cilantro and finished off with a house-made cheese sauce. You can also add pulled smoked pork, pulled smoked chicken, or smoked beef brisket. The basic nachos are $9.99, and it’s an extra couple dollars to add the pork, chicken, or beef. Over in the Marketplace at Disney Springs is T-REX, you’ll find Colosso Beef Nachos for Two. At $16.99, it’s one of the more expensive nacho dishes on the list, but it’s pretty good. The corn tortilla chips are topped with Moterey Jack and cheddar cheese, black beans, pico de gallo, green onions, and sour cream. 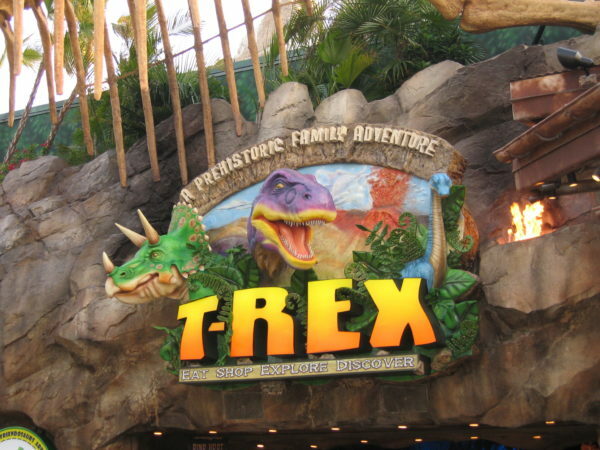 T-REX is a really cool experiential restaurant with animatronic dinosaurs and some delicious nachos. 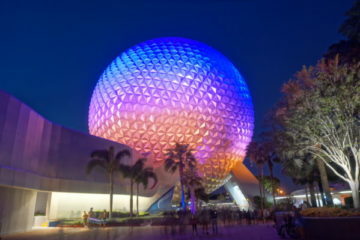 The ESPN Club at Disney’s BoardWalk won’t be outdone by the other competitors. They have four nacho dishes on their menu including pub nachos made with corn tortilla chips, house made chili, shredded cheddar chese, cheese sauce, sour cream, pico de gallo, and jalapenos, plus you can add shrimp or chicken. The real notable dish at the ESPN Club is the tuna nachos! They’re made with wonton chips, togarashi-dusted tuna, soy-sesame sauce, and wasabi aioli. Togarashi is a Japanese chili pepper, so this dish is a mix of spicy and savory making it the most unique take on nachos on our list! The Greece Marketplace is only open during the Epcot International Food and Wine Festival, which means you can only get their Loaded Greek Nachos during the festival, which takes place just a few months out of the year. The Loaded Greek Nachos combines some of the best Greek flavors with pita chips, meatless sausage crumbles, and vegan tzatziki sauce. At just $4.50, this is a very affordable nacho dish, but it’s only enough for one person. 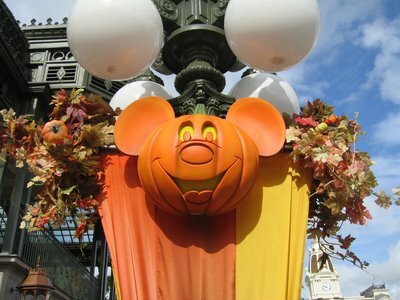 However, it’s also eligible for a Disney Dining Plan snack credit. The Beef Nachos at Pecos Bill Tall Tale Inn and Café in Frontierland are a smaller portion than some of the others on the list, and they’re also one of the most classic takes on nachos. Tortilla chips are topped with Queso, ground beef, lettuce and tomato. At $12.49, it’s one of the most expensive dishes on the list especially considering its size, but it’s also the only menu nachos available in Magic Kingdom. 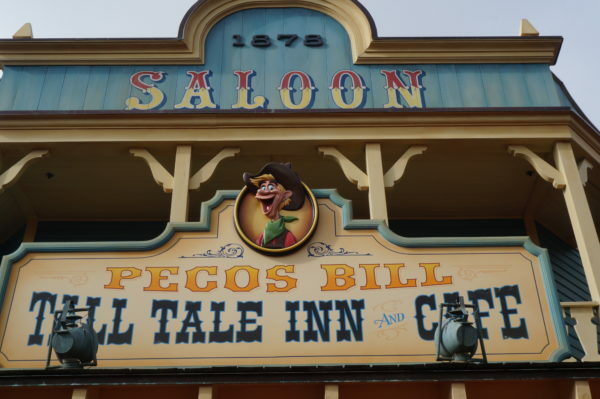 Pecos Bill Tall Tale Inn and Cafe not only has classic nachos on the menu, but there’s a secret nacho dish that isn’t on the menu! 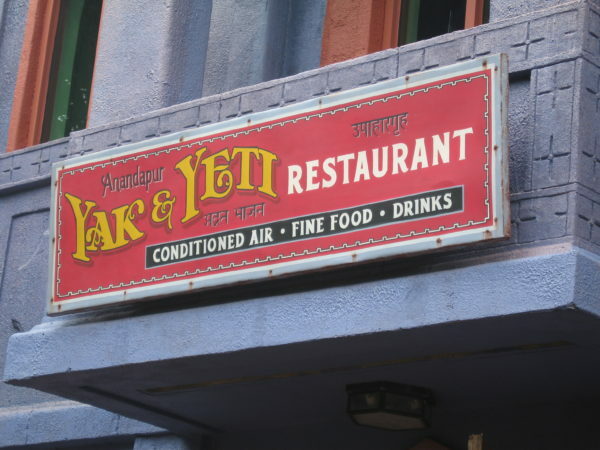 Yak and Yeti Restaurant at Disney’s Animal Kingdom has more unique nachos. The Ahi Tuna Nachos with sushi grade ahi is a delicious take on a favorite dish. It also comes with Asian slaw, crispy fried wontons, wasabi aioli, and sweet soy glaze. Yak and Yeti is a themed dining table service restaurant in the Asia section of the park, and it has a fancy Nepalese- style with gold fixtures, impressive statues, and neat artwork. The Ahi Tuna Nachos at Yak and Yeti are a unique take on a classic dish. La Cantina de San Angel’s dish is simply called “nachos”, and for good reason. 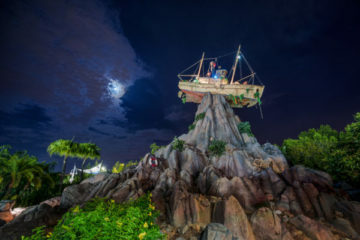 This location in the Mexico Pavilion of World Showcase is widely considered one of the most authentic Mexican restaurants in all of Disney World. The nachos here won’t disappoint. Tortilla chips are served with ground beef, nacho cheese, tomatoes, jalapenos, beans, and sour cream. 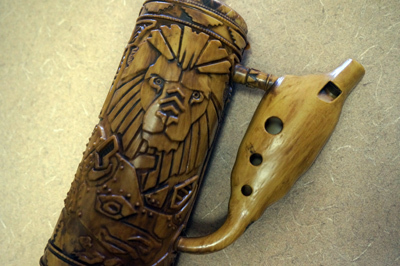 For $11.25, it’s not a bad deal too! Nachos fan? 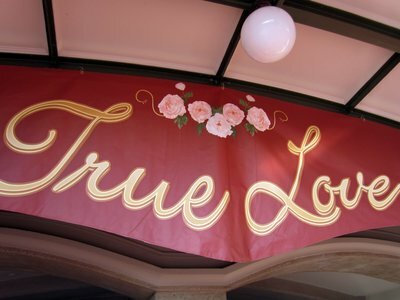 Where do you love to get nachos in Disney World?